Blog Home » Text Message Marketing – Is It Right For Your Business? We have all heard of the wonders of text message marketing and how it can be useful for you. But is it right for your business? You must have noticed that a large number of businesses do use this service to good effect while others don’t. So what makes this service viable for your business? There are a number of factors that you must consider before you jump on the bandwagon. Here are a few tips that will help you decide whether you should be using text message marketing for not. Generally most small to midsized businesses use this service to transmit messages to their customers. One reason why it is good for them is the low cost. Large organizations can afford expensive advertisements however small businesses can’t. So to gain the edge in the market they use text message marketing techniques, this costs a lot less money but is just as effective if not more so. Multinational organizations have an array of methods through which they keep their customers aware of new products and any other changes they make. However, on the other hand small organizations have limited options because they operate to small budgets. One of the most effective ways for these organizations to build customer awareness and loyalty is through text message marketing. These messages are delivered instantly and the response rate is also incredibly high. Text message marketing also increases a business’ chances of growth. As the messages are spread out in the community you can expect more demand for your goods and services. Deals and offers are likely to attract customers and cleverly targeted campaigns will drive better profits. Remember that messages are directly delivered to cell phones and are read 95% of the time. Whereas other forms of advertisements such as TV ads or billboard ads might be missed by potential customers. 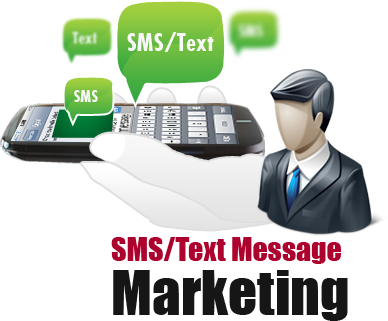 Text message marketing also helps the business build a personal relationship with the customer. Once you get up close with the customer you are likely to get a better response from him. Brand loyalty can be achieved through this method and you could get a customer for the long term. So looking at the amazing benefits of text message marketing it is perhaps safe to say that most business owners would implement this strategy as part of their marketing plan. You might see less use of text messaging by large organizations but the majority of other organizations are still using this method to good effect.